All I know, was I had a two bedroom villa. The rest was in the hands of my buggy driver, who having loaded my bags, weaved his way along narrow lanes and past lagoons until my front door beckoned. Come the morning of course, it all looked a lot different. The villa was perched by the side of a lagoon and my very own infinity pool was winking at me from the outside deck. 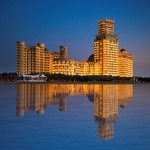 The Cove Rotana Resort was one of the first luxury resorts to open after Ras Al-Kaimah’s expansion programme began in earnest in 2010. 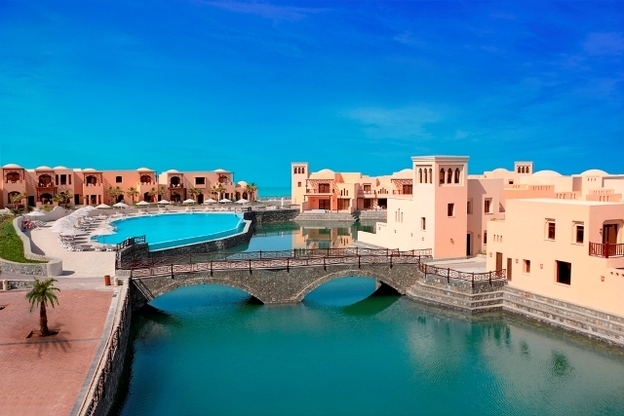 Ras Al Kaimah or RAK as it is known locally, had been slow to respond to the tourist success of Dubai and Abu Dhabi, preferring instead to keep its mountains, mangroves, desert and beaches to itself and enjoy the fruits of its natural gas and ceramic exports. That all changed in 2010 when this extraordinary Emirate embraced tourism with open arms and pressed the throttle on making it an alternate destination to its more illustrious neighbours. 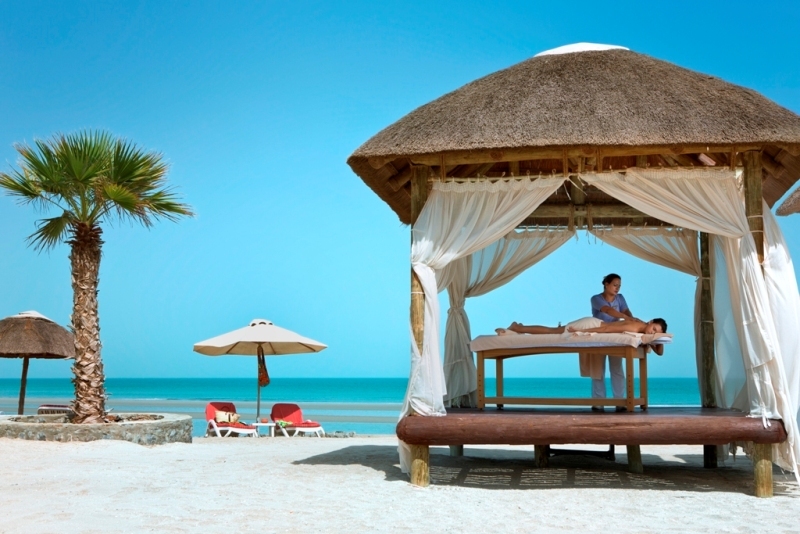 The Cove Rotana is spread over 600 metres of prime Arabian Gulf beach front in the style of a Nubian village. 78 whitewashed one, two and three bedroom villas are grouped around a cluster of man made lagoons or set into the hills above, offering some spectacular views of the coast. I made full use of my private pool before taking a slow stroll up to Cinnamon the main all day dining restaurant. There were buggies available to ferry me around the village if I called to request, but I wanted to enjoy the sun and take a walk. The exercise was just as well as Cinnamon had vast buffet options; more than enough to satisfy every palate and need. 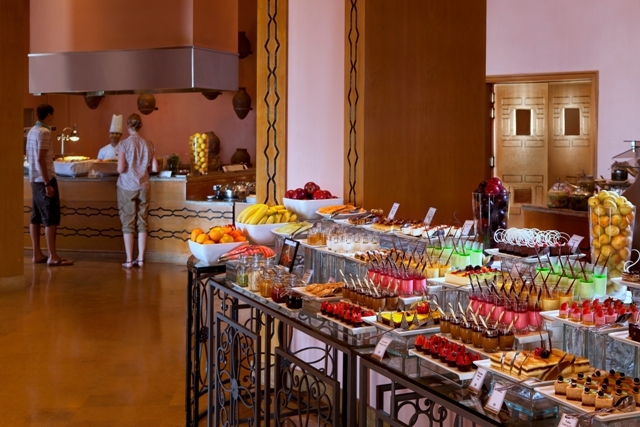 A Middle Eastern buffet along one wall, an American style buffet along another and in the middle, fruit, eggs and endless hot dishes. All of it high quality and beautifully presented. Although the beach and waters of the Gulf are on the doorstep, there are two pools and a kids pool for anyone who doesn’t fancy getting sand under their toes. There’s also a fully equipped gym, a fitness and wellness club and a kid’s club to keep the little ones amused. The beauty of RAK is its proximity to the desert and the mountains for anyone who wants some outdoor adventures. I took full advantage and spent the day horse riding and dune bashing with 4×4’s in the Al Wadi desert. The best part? It was just a 15 minute ride back. My villa had a large lounge/kitchen area with plenty of comfortable couches and sliding patio doors out to the spacious deck and pool. The master bedroom was dominated by a huge king bed and giant flat screen TV. The second restaurant at The Cove Rotana is Basilico, offering fine dining Mediterranean inspired cuisine. I sat outside high up on a terrace offering a fine view of the Gulf. It was a magical moment I have to confess. 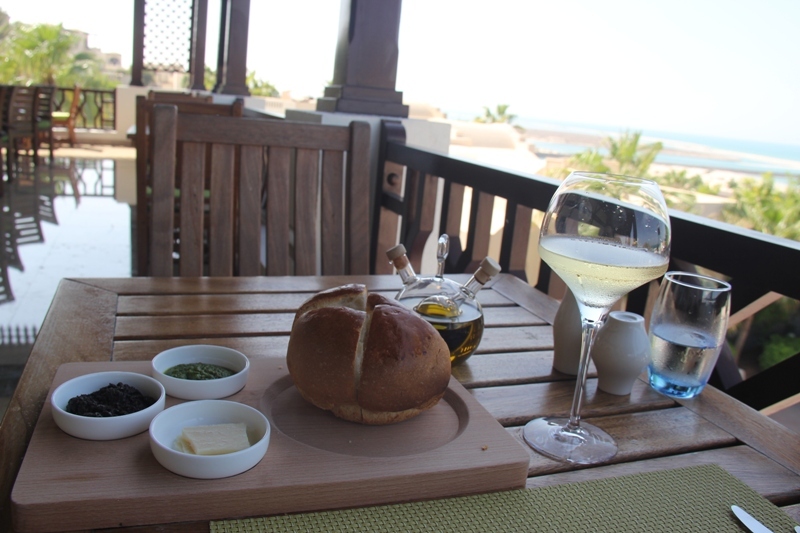 A crisp New Zealand Sauvignon Blanc, some fresh warm bread and a gentle breeze. 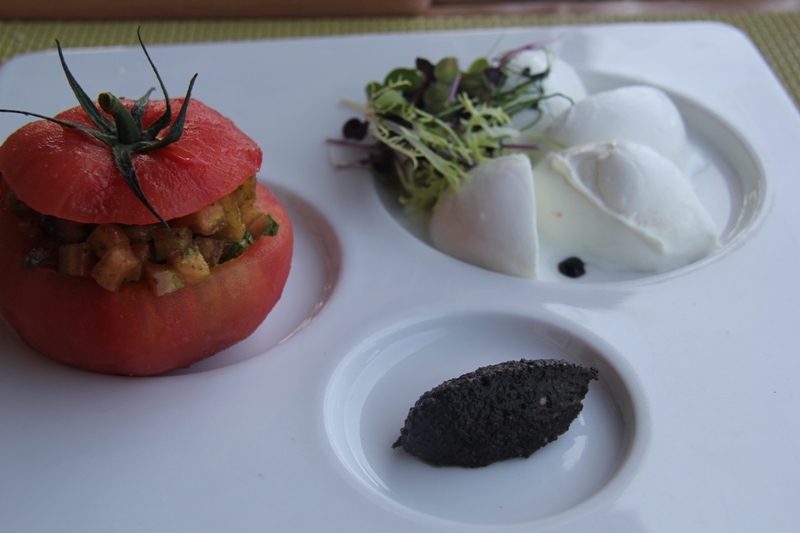 For a starter I picked a quite wonderful buffalo mozzarella and beef tomato tartar with a black olive tapenade as it was one of the chef signature dishes. It did not disappoint. A deliciously spicy brown lentil soup with spinach and lemon followed backed up with a top up of that crisp wine. The finale was a plate of penne pasta with a fresh pesto sauce. It was a delight. No rush. Attentive service. Perfect setting. 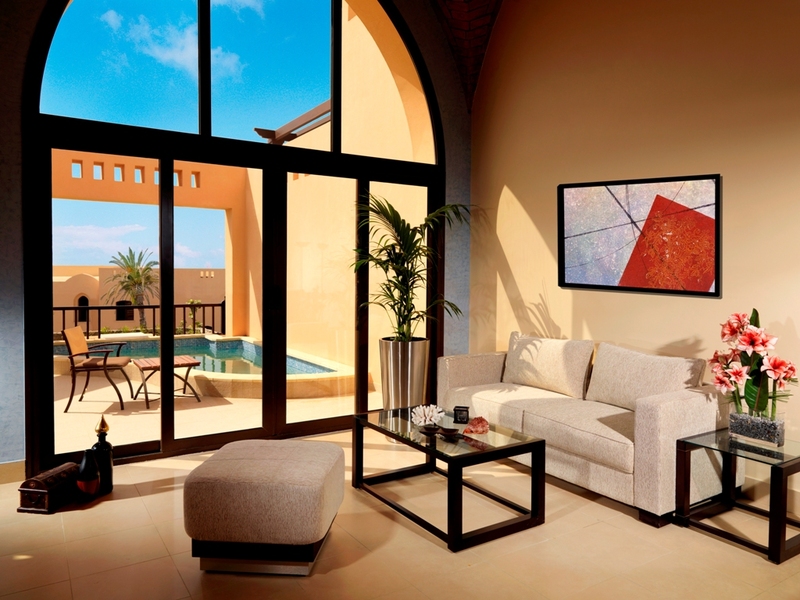 The Cove Rotana Resort will appeal to families and couples who enjoy staying within a community. A community that has everything to hand without the pomp and ceremony of a luxury hotel. 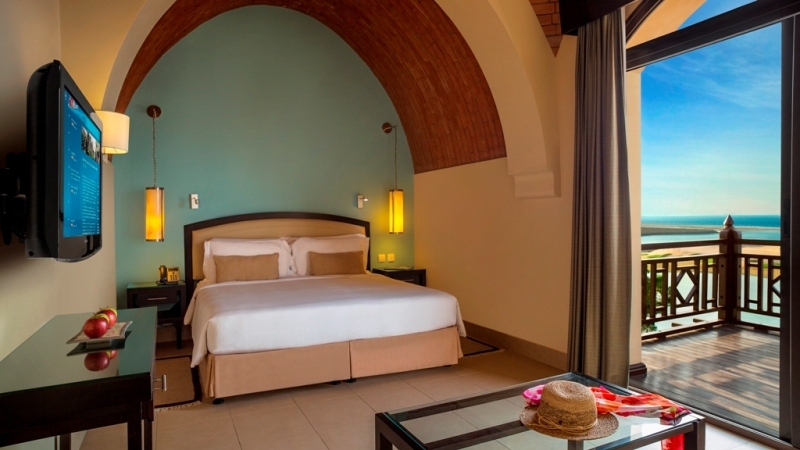 Even better news are the prices compared to a stay in Dubai or Abu Dhabi. Premium rooms with a sea view are from £160 per night per room or £214 with breakfast. 1 bedroom duplex villa from £346 including breakfast. RAK is just a 45 minute drive from Dubai International Airport.